Are you conducting basic research that has the potential of producing a drug that can benefit patients? If so, then you should learn about the US Food and Drug Administration (FDA) process for the clinical translation of new drugs, and the considerations you should make early in your research planning. This seminar will review the basics of the FDA regulations for the clinical translation of investigational drugs; as well as associated requirements for compliance with the FDA’s Good Laboratory Practice (GLP) and Good Manufacturing Practice (GMP) regulations. 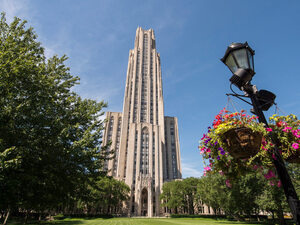 Send questions or comments to byates@pitt.edu. Tuesday, February 26 at 1:00 p.m. to 2:30 p.m.